When I first learn that an upscale African-inspired kosher restaurant is coming to Baltimore, my interest is piqued. There is certainly a void in terms of upscale kosher dining options in the vicinity, but is an African restaurant what’s needed? Couldn’t hurt. Three of us are primed for steak. The choices are impressive. There is grilled rib eye steak on the bone or boneless, chili rubbed seared steak tourney with peppercorn sauce, grilled honey chipotle marinated rib eye steak, and Delmonico boneless steak. Other meat options include braised lamb shank with red wine reduction, and slow braised bourbon barbecue short ribs. Burgers make an appearance on the menu as well. Serengeti is clearly a paradise for meat-lovers. And prices are fair with 12 oz. steaks ranging from $25 to $32, and 16 oz. averaging $32, depending on the cut. My daughter and I negotiate, agreeing to share a lamb burger and a 12 oz. honey chipotle ribeye. The lamb burger is pinker than the medium rare we request, but it’s well seasoned, and a roasted garlic aioli adds punch. I’m particularly impressed with the crispy ciabatta roll, which is make or break for me when it comes to sandwiches. This roll makes it. The honey chipotle steak is a thing of beauty, perfectly charred, tender, and full of flavor. My husband doesn’t eat red meat, so he seizes the opportunity to eat poultry in a restaurant. 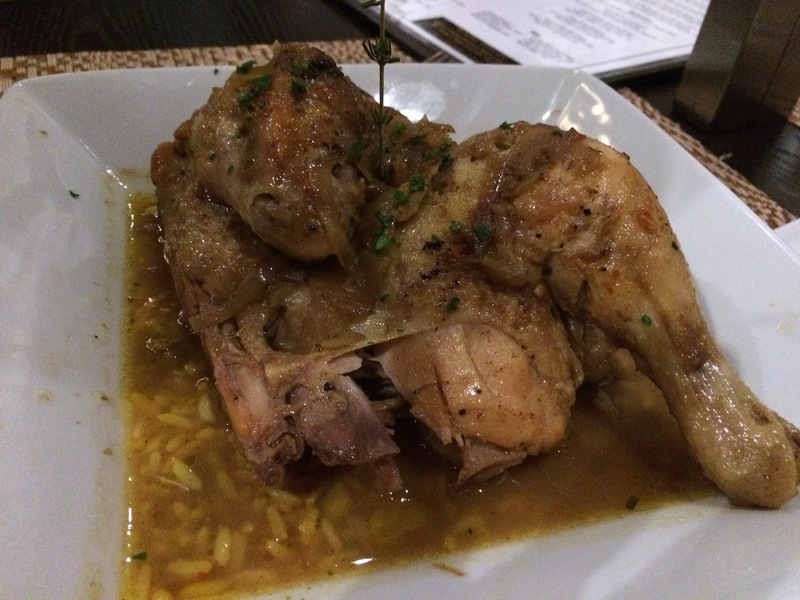 The well-executed Chicken Mozambique is thoroughly satisfying, with its aromatic savory flavors. My daughter’s boyfriend desires simplicity in his steak, so he delights in grilled rib-eye, well-seasoned and perfectly prepared. Sides here are hit or miss. Garlic mashed potatoes are a big hit with my mother-in-law, who is a very harsh critic when it comes to food. Creamed spinach misses, with a disproportionate ratio of spinach to “cream.” The nondairy cream appears to be margarine, which forms a pool around the spinach. Steer away from the appetizer that is Mock “Crab” Cakes with Old Bay aioli. This is what appeals to my mother-in-law, but she doesn’t tolerate the thin dry pancake, studded with pieces of carrot and some kind of fish. It could benefit from a heavier dose of Old Bay seasoning, and some plumping up with more ingredients in general. Service can use more polish. It’s as simple as always having someone on staff in the dining room so your blood pressure doesn’t rise if you need something. 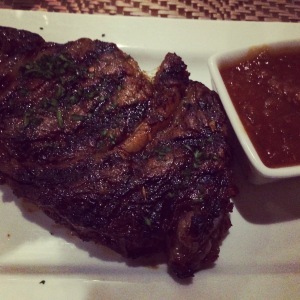 Serengeti isn’t the place for a quick dinner, but a steakhouse isn’t really meant to be quick. I am pleased when a kosher restaurant puts effort into ambiance, which isn’t always the case. The decor at Serengeti is lovely, with subtle African accents such as grasscloth placemats, faux stone walls, woven baskets, and chrome animal heads on the wall. While I find a few things to kvetch about, I admire owners Larry and Lara Frank for venturing into new territory with creative African-inspired cuisine. 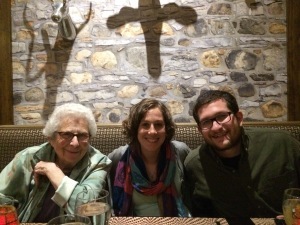 I am happy to say that I like Serengeti, and not just because it’s a kosher restaurant …I really like it!